The late Tan Sri Eusoffe Abdoolcader read law at the University College, University of London, graduating with LL.B First Class Honours. He was called to the English Bar by the Honourable Society of Gray’s Inn on 26 January 1950 (and had the distinction of being made Freeman of the city of London on 31 May the same year). 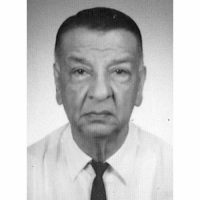 He was admitted to practise as an Advocate & Solicitor at the Malayan Bar on 30 March 1951, and to the Singapore Bar on 12 November 1969. He practised at the Bar for 24 years and was appointed as Judge of the High Court in Malaya effective 1 December 1974. On 1 October 1982, he was appointed Judge of the then Federal Court. As an Advocate at the Bar, the late Tan Sri Eusoffe was unsurpassed in his knowledge of the law and unmatchable in his advocacy, earning him a reputation as a formidable opponent. Lawyers and laymen alike were awed by his brilliance and his intellectual prowess, which he defused only by his dry sense of humour. Notwithstanding his busy practice, he gave of himself to many public office and associated himself with the academia and the development of higher education. To the legal profession, he gave his service to the Penang Bar Committee, served as its Chairman in 1968 and 1969, and was a member of the Bar Council of the States of Malaya from 1963 until his elevation to the Bench in 1974. I have enjoyed my years of practice at the Bar and will ever be mindful of my origins – that I have come from your ranks and have been one of you for some 24 years. I shall always continue to be a lawyer at heart, for to me a judge is basically but a lawyer functioning in a different and possibly much wider field and having as his primary duty that of hearing and determining according to law. I am very pleased to have come on the Bench and be able to serve the nation and I must add that my personal gratification on my elevation is not unmixed with elation at the fact that this also accords recognition to the Bar and its role in the administration of justice in our country. On assuming office as a judge I am conscious of the very great responsibilities that devolve on me and am proud to say that I have joined a judiciary which has the very highest and noblest traditions of independence, impartiality and integrity, I shall by the grace of God and with His blessing discharge my judicial duties in a manner befitting the high tradition set by and which I receive from my predecessors and colleagues, which I shall strive to maintain and contribute to in my own humble way and which I shall transmit to my successors pure and unsullied as I receive it, and indeed enhance if that is possible. If I cannot strengthen our Bench, strong as it is, I shall certainly do nothing to weaken it. The late Tan Sri Eusoffe lived up to all that he promised. His years as a Judge brought an added, indeed glorious, dimension to the judicial pronouncements of the Court. His judgments were often hailed as literary works, his mastery of the English language, and of Latin, enhancing his deep but clear, lucid reasoning, no matter how complex the issues litigated before him. His life was one complete and total commitment to the law. The passing of the late Tan Sri Eusoffe is a tragic loss to the legal profession and to the country. His contribution to the law and the profession, indeed the nation, is his legacy. He is by all accounts quite irreplaceable. We – the Bar – mourn his loss.